"You can have the best monitors in the world, but they'll still sound rubbish if your room acoustics are no good. This is the one thing I've had to learn the hard way, year after year." Globe-trekking DJ Christian Smith was born in Sweden and now lives in Mallorca, having spent most of the late '80s living in Germany and the mid-'90s playing raves in New York and Baltimore. Smith attended university in Washington DC, studying merchant banking - at that point, making a living out of DJing was little more than a side-bet. It was in Germany where Smith was first drawn to the techno/trance sound of "Papa Sven" aka DJ/producer Sven Väth. 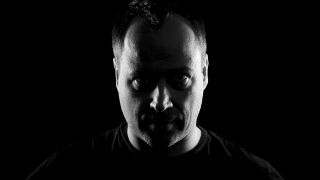 By 1994, he had started the house/techno label, Tronic, where early releases would define his unique brand of tech-house and funky tribal techno. With more than 30 releases on Drumcode, Minus and other labels, including Intech and Yoshitoshi Primate, Smith has managed to set himself apart with his pumping, rhythmic productions. Smith's flexibility stretches beyond the studio. In huge demand on the DJ circuit, most weekends you'll find him headlining clubs and festivals throughout Europe, North America and, occasionally, further afield. In tandem with his music, Smith's DJ sets are a melting pot of vigorous, chunky grooves. Flourishing in a hugely competitive industry, he's well-placed to give advice on the pitfalls of DJing and studio recording. "So much time is wasted by producers that have tons of half-finished productions. At the end of the day, one finished song is better than 100 half finished! I have often been in situations where I've been listening to the same loop for over 10 hours and ended up not knowing if the track or remix is good enough at that point." "One way I usually overcome this is by making the song, or a remix, all in one session and mixing it down the next day. If it passes the 'day after' test, it's usually good to go, and mixing down tracks with fresh ears is obviously the way to do it. By finishing each song, you'll get better in the studio and can also track your progression." "When I work on music, I try to focus on big hooks and not too much on the details. I sometimes see people's projects for House and Techno tracks spread across 20-30 channels. Each to their own, but for underground club music I think this is total overkill. My tracks usually have less than 10 channels. Sure, detail is important, but that's not what will make the track big. So don't waste too much time on extra channels of hi-hats or layers that are barely audible, just get on with it. Keep it simple - less can be more when done right." "You only have one shot to be taken seriously and you should also take your time and wait until you're confident enough in your music for a label to take you seriously. One good way is to ask your peers if they think your sound is good enough and fitting for the label in question. They should hopefully give you honest feedback. "When I get sent demos for Tronic, if I don't like the sound or vibe of the first track I often won't listen to the others. So don't rush things, because if a label rejects you once it's really hard to get that A&R's attention in the future." "Doing this will also improve your chances of having your demo listened to - at least it tends to work for me. The hardest part about this business is getting your foot in the door." "These days, everything matters if you want to be successful. When I started out in the business, I only had to make a few singles a year and my booking schedule was packed all around the world. It's crazy, but it really was that simple. I had a few key DJs support my music, the magazines caught on to it and the rest was history. "Social networking has become a necessary evil. Unfortunately, many promoters are ignorant and often book people based on the number of Facebook followers rather than choosing the right artists for their venues. They also ignore the fact that many artists actually bought their fans. "The worst part about social media is that it takes a lot of time out of my schedule that I could be using to make music. For the underground, it's not quite as imperative as it is for EDM artists - if an EDM artist doesn't have one million followers they're not taken seriously. But it is what it is, so get started and get yourself a good fan base. "You can have the best monitors in the world, but they'll still sound rubbish if your room acoustics are no good. This is the one thing I've had to learn the hard way, year after year. Sometimes you get lucky and get a mix right on the first go, but if your room doesn't have good acoustics it's more or less a guessing game. "I have worked under terrible conditions, once with only one PA speaker, and the mix still came out good. But that was luck. I can tell you that from what I can see, room acoustics is the single most overlooked thing in our industry. People get all horny about fancy monitors and tube compressors, but it doesn't cost much to get your room properly sound treated and will help you a lot in the long run." "Sure it's 'cool' and 'fun' to have expensive compression and big fat analogue synths, but it's not necessary. I have made many of my biggest tracks by just using samples and soft synths. Your music can still sound warm; it just takes a little more processing. "This brings me back to my point about acoustics. Before you buy something that you don't really need, get your room treated!" "In my experience, the artists that I helped the most are the ones that were the most loyal to me. Why would I want push someone if he or she is releasing on tons of other labels at the same time? It's a tricky proposition for up and coming artists because you get more profile releasing on various labels. "I'm not opposed to newer artists releasing on multiple labels, but it has to be the right ones and communicated in advance. Also, not more than two labels. This comes back to identity - if an artist releases on four to six labels, nobody really knows what he or she plays out. By being loyal, you create your own brand identity and people will see you as being part of a certain team. That's much better than being the person who releases everywhere they can." "There are so many copycats out there it's annoying as hell. Most of them don't really get anywhere as they don't take the time to challenge themselves by really doing what they love. It sounds ironic, but it's true - most producers just look for the easiest path to fame, but if they're not truly passionate it rarely happens for them. Sure it's okay to get inspired by a song, but try not to copy it - create your own vibe! "I made a track called Total Departure in 2008 released on Drumcode. John Selway and I used a plug-in called Endless Tone - it's a tone that gives you the impression that the sound keeps on rising (Shepard Tone). Our track became a big hit and in the next 6-8 weeks there were around 50-100 tracks using the same effect. I was like, really? Having said that, I always take it as a compliment when people tell me 'that sounds so much like you' - assuming it's one of my tracks [laughs]." "I'm sure that I am not the only person that is totally overwhelmed with the amount of demos that I get sent every week. Unfortunately, I often end up only listening to about 20% of the ones that I do get. So if you do not hear back from the label, send it again! "There have been a few instances where my wife has asked, 'Who is this dude - he sends you emails every day?' Eventually I end up listening to that person's music simply because I appreciate their persistence. And in a few instances, I've even signed their music."